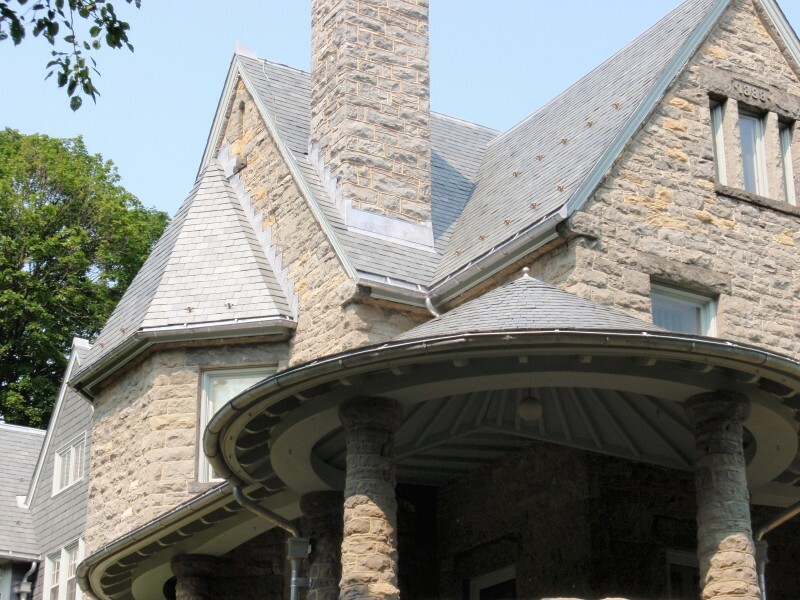 Complete roof restoration of “Oakhurst”, a prominent residence designed by McKim, Meade & White in the 1880’s. 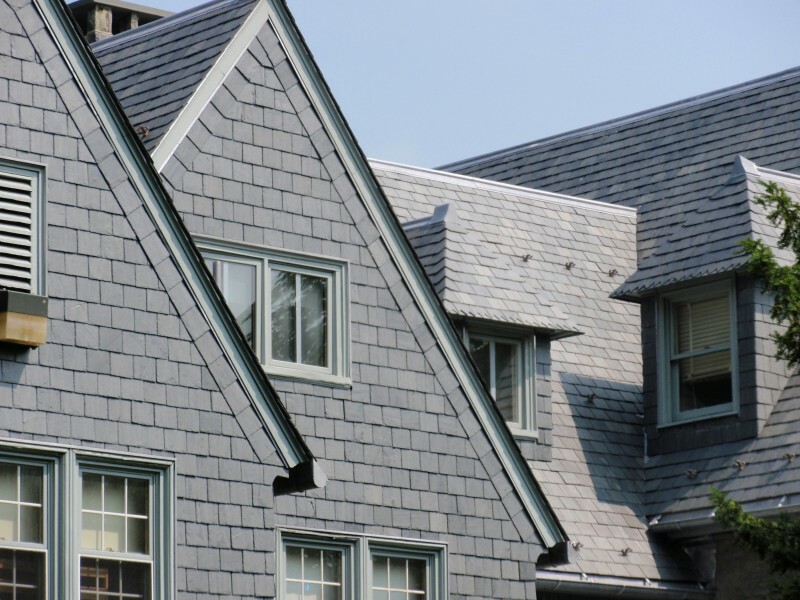 All new slate on the roof and vertical walls, new lead-coated copper flashing and gutter system. 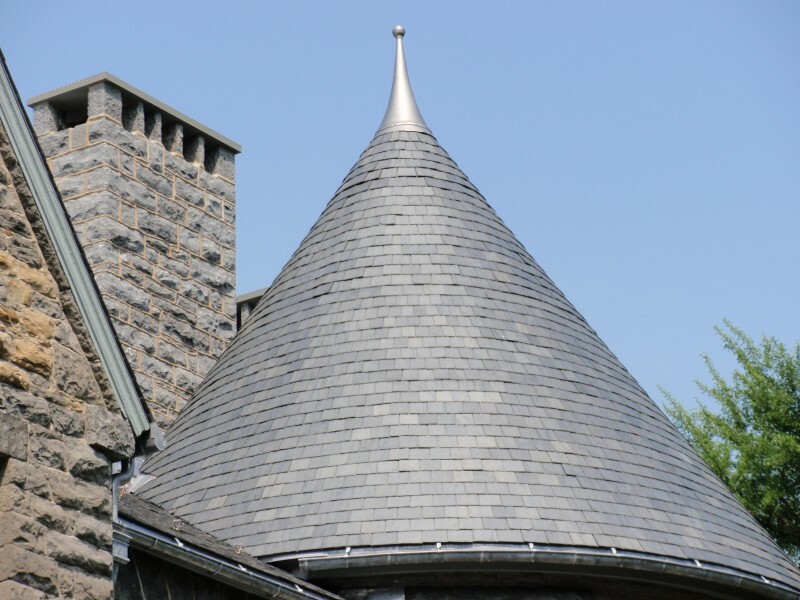 A grand roof design including round turrets, sweeping radius porches and striking detail work on the dormers. 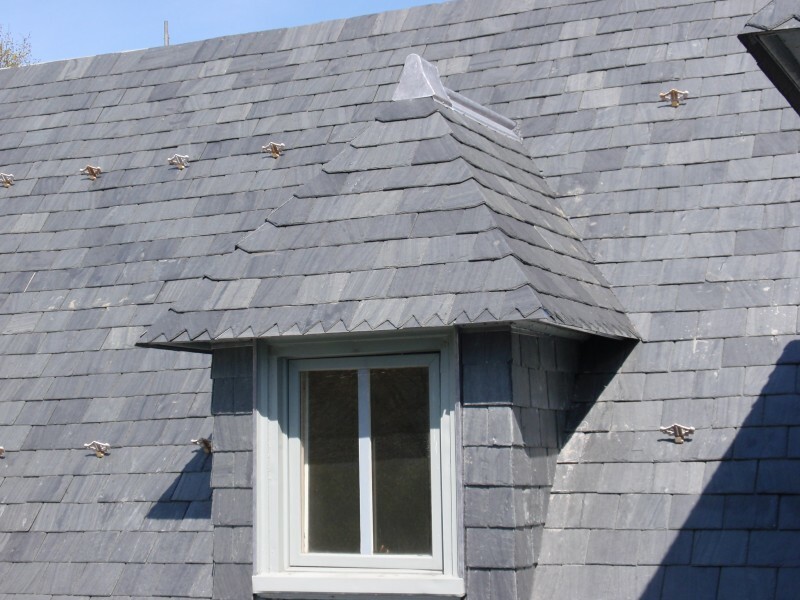 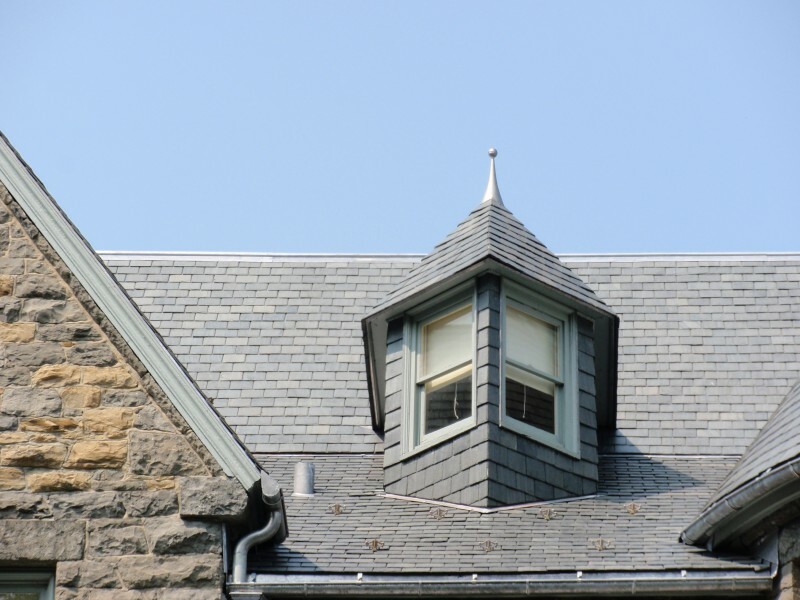 Also, a large amount of vertical slate was installed on several of the gable walls with an unusual slate detail used to accent the line of the rake.